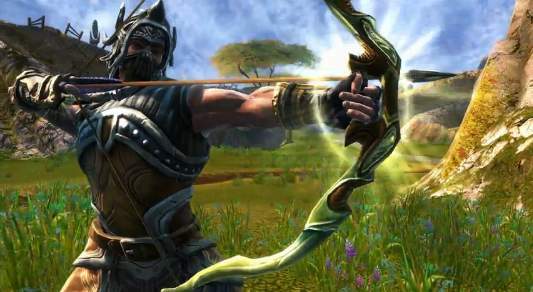 Carrying items in Kingdoms of Amalur: Reckoning undoubtedly becomes a hardship. There are only so many available slots for gear and accessories so a player can quickly find themselves in need of storage. Players do have a couple options which shouldn’t be too time consuming or difficult to attain. The simplest is to use a vender. Sell items and return later for them. Vendors appear to hold the items indefinitely which means returning for them shouldn’t be a problem. Obviously, turning your goods over to a NPC is unsettling so choose what you entrust to them wisely just in case of game glitches or other odd behavior. This isn’t a long term solution, but should get you by in a pinch. Use of a backpack will increase your carry slots by 10. You can find them throughout the realm at various shops. Here’s a complete list of Backpack Locations. Could anything be better than having your own home within a game? How about one with storage too? In order to get a house, you’ll need to accomplish a quest or series of tasks. Note: For other house quest-lines, check out our KoA: Reckoning – House Quests post. Travel to Canneroc in Webwood. Find and talk to Garaner Vernt to start the A Tangled Web quest. Complete the quest to receive a house key, which is now yours. That’s all there is to it. Enjoy! Want another housing option? Check out our KoA: Reckoning – House of Valor Quest article. More Information: For related KoA: Reckoning Tips and Articles, view our KoA: Reckoning Page. @Defected – The chests are in the houses. Look around and you will see them. I do not see a storage chest anywhere. @Hinenuitepo – Indeed there are several. Tough to cover everything, but Canneroc is a logical first step for most. Don’t worry about spoilers, thanks for contributing! Early in game, the Canneroc house is your best bet, but don’t forget you can get several others as well! My favorite house at the moment is found in Adessa (not to spoil it, but you’ll get it once you arrive, provided you’ve quested enough to be sent there).